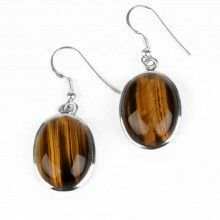 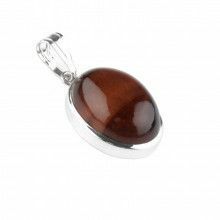 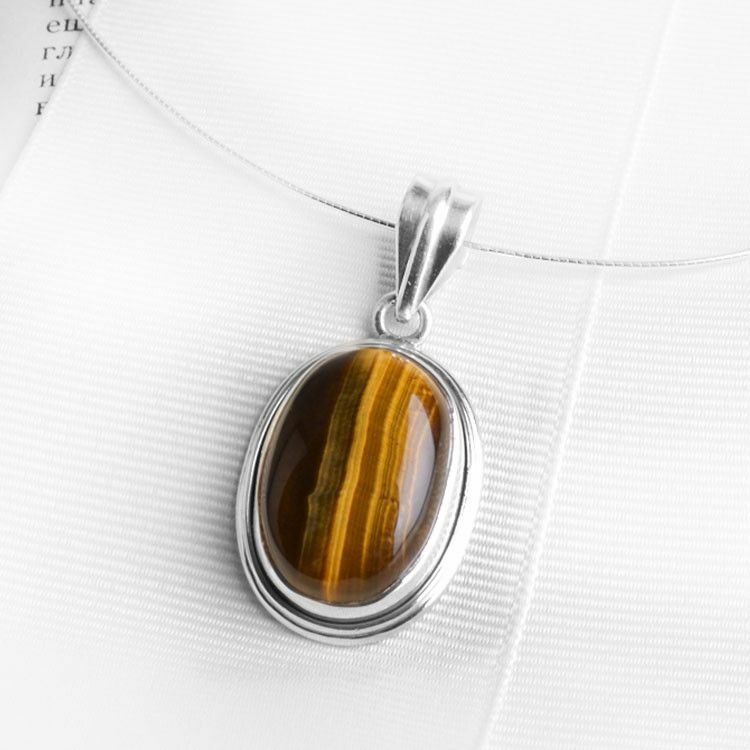 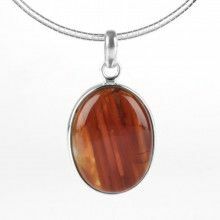 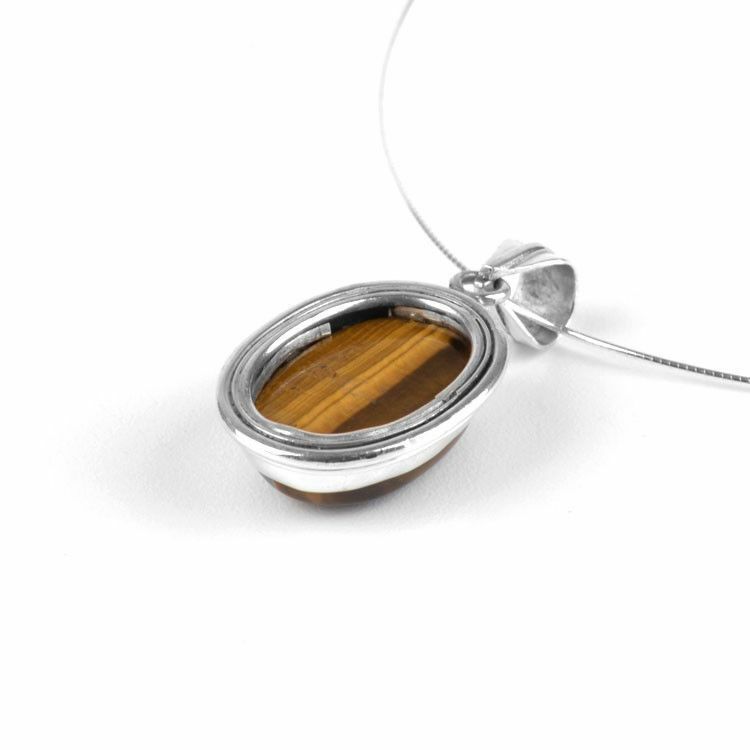 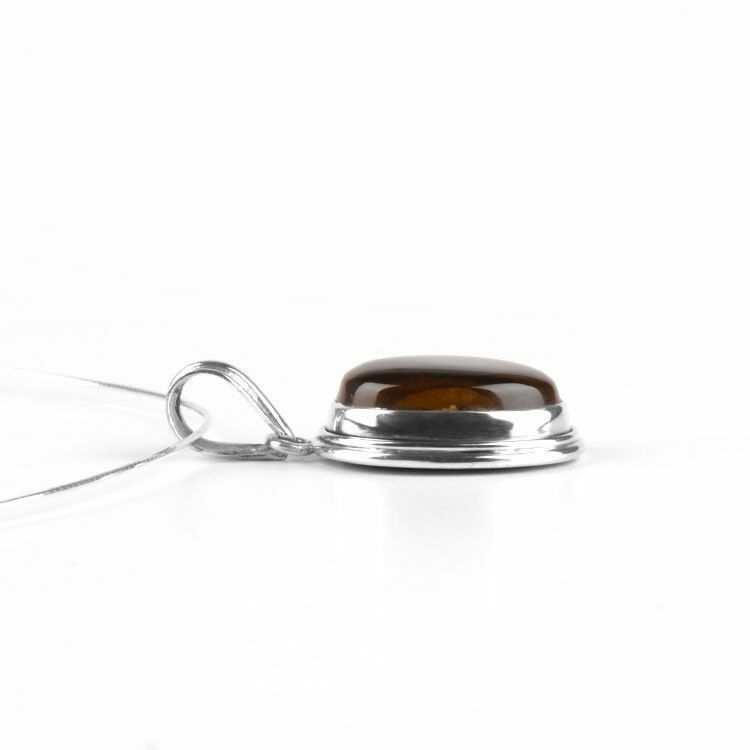 This elegant tiger eye gemstone pendant measures about 1 5/8" x 3/4" and it is a one-of-a-kind. 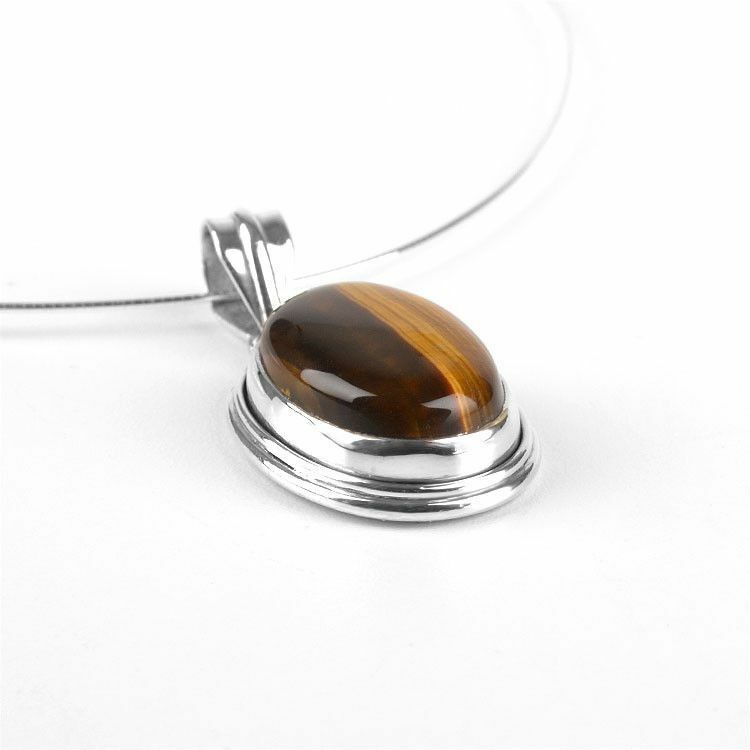 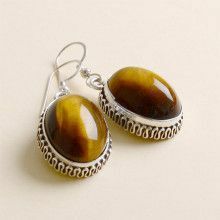 The highly polished stone is set in sterling .925 silver and has a natural stunning appearance. 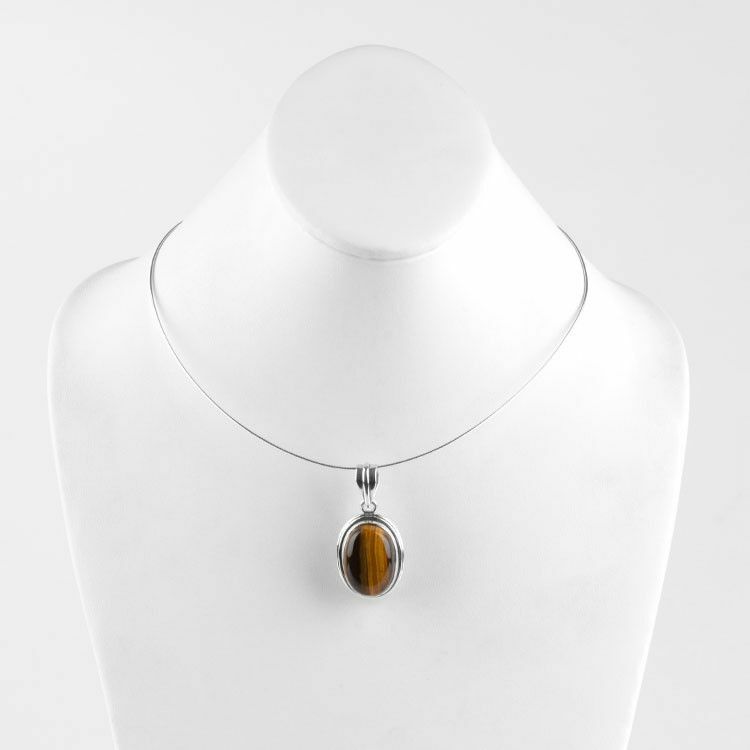 An 18" long sterling silver round omega neck wire compliments the pendant perfectly and completes this hand-made necklace. 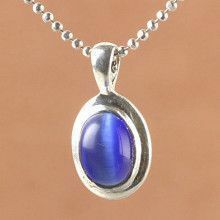 Pendant measures 1 5/8" x 3/4"